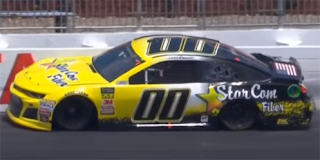 Landon Cassill picked up the 12th last-place finish of his Monster Energy NASCAR Cup Series career in Sunday’s Foxwoods Resort Casino 301 at the New Hampshire Motor Speedway when his #00 StarCom Fiber Chevrolet was involved in a single-car accident after 13 of 301 laps. 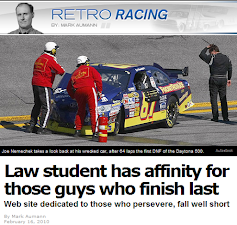 The finish, which came in 272nd series start, was his second of the season, his first since Martinsville, 13 races ago. In the Cup Series last-place standings, it’s the 25th for the #00, the 569th because of a crash, and the 750th for Chevrolet. Across NASCAR’s top three series, it’s the 38th for the #00, the 1,154th because of a crash, and the 1,614th for Chevrolet. As team owner Derrike Cope reported in Sonoma, the popular Cassill has been instrumental in StarCom Racing’s first full Cup Series season. 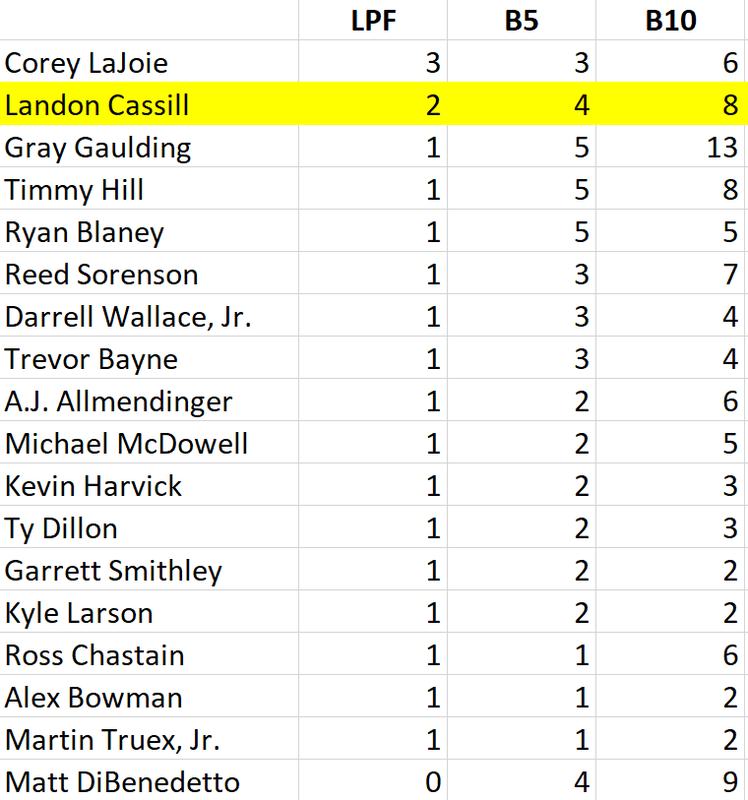 Cassill’s last-place run at Martinsville was his season debut with the team after losing his ride at Front Row Motorsports, and his two best runs came in the next two rounds: a 21st at Texas and a 20th at Bristol. Since then, Cassill has run every Cup race except Sonoma, where Tomy Drissi took the controls of the #00 Chevrolet, and had finished under power each time. 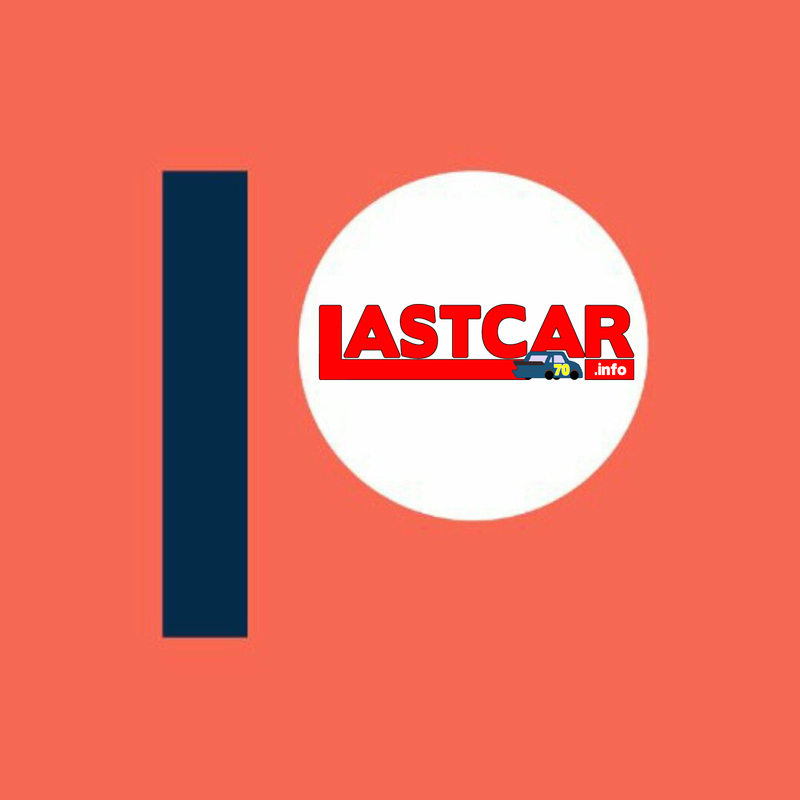 At Daytona earlier this month, Cassill got StarCom’s second car into the race and overcame early electrical issues to finish 24th, a season-best for the #99 team. Sunday’s race at New Hampshire marked the third-straight race where StarCom fielded both of its cars. 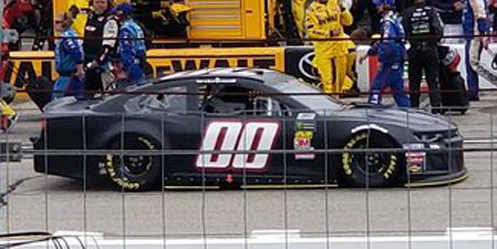 While Cassill remained in the #00 StarCom Fiber Chevrolet, the inverted version of the gold-and-black scheme on the #99 saw Kyle Weatherman climb behind the wheel for the first time since Chicagoland. On Friday, Cassill outpaced Weatherman in the opening practice – 33rd to his teammate’s 36th – then timed in 34th in qualifying with a lap of 129.134mph (29.495 seconds), one spot ahead of the #99. 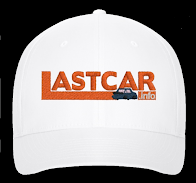 Although Cassill prevailed again in Saturday’s Happy Hour, ranking 34th ahead of Weatherman’s 36th, his session was cut short with a hard crash. 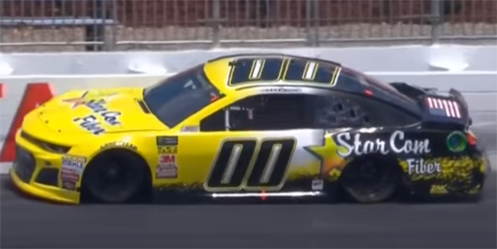 On the same day that saw Michael McDowell slam the outside wall in Turn 3, Cassill’s #00 hit the wall between Turns 3 and 4. The car hopped up and down on the right-front before it finally came unglued from the fence, and the driver made his way to the apron. According to radio communications, Cassill had been trying to dial more front brake into the car when he lost control and backed into the outside wall, then struck the fence with the right-front. The accident forced the StarCom team to roll out a backup, a flat black Chevrolet with hardly any decals. By race day, the car wasn’t wrapped in the team’s gold-and-black scheme, but had a small StarCom logo on the rear TV panel, roof numbers, and white door numbers italicized in opposing directions. His car, as well as McDowell’s backup car, would be sent to the back of the field prior to the start. Joining them were Ross Chastain, who voluntarily surrendered the 32nd starting spot in Premium Motorsports’ #15 Chevrolet, and Ty Dillon, sent to the back after an unscheduled stop before the start to have a crewman reach in and retrieve his water bottle rolling around the inside of the car. All these drivers fell behind last-place starter Blake Jones, the part-time XFINITY Series driver for B.J. McLeod Motorsports who was making his Cup debut. Jones qualified 37th in BK Racing’s #23 Toyota with sponsorship from Tennessee Shine Company and KBM Commercial Properties. Jones’ debut came amid new reports of the BK team’s potential new buyer, reports including a new start-up effort by former crew chief Mike Beam, a bid placed by GMS Racing, and even news that enigmatic XFINITY operation Obaika Racing had purchased some of BK’s Toyotas. 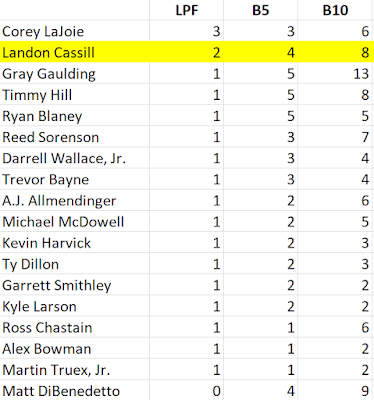 When the race began, Ty Dillon was running near the back with Cassill holding down the 37th spot. As Dillon made a move to the inside of Turn 1, making quick work of the cars in front of him, Cassill saw Jones’ #23 come into view in front of him. On Lap 2, Cassill worked to the high side of Jones in Turn 3 and made the pass, dropping the #23 to last. From there, Jones settled into a rhythm, all the while losing ground to the leaders. By Lap 13, he was 22.4 seconds back, entering Turn 3 as the leaders were coming off Turn 2. 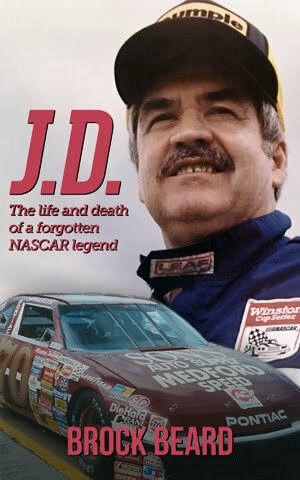 The next time by, Jones’ spotter came over the radio warning him to watch for a car in trouble ahead of him. That driver was Cassill, who Jones was trying to catch for 36th. Once again, Cassill lost control in Turn 3 with heavy damage already to the right side of his #00 Chevrolet. The wreck drew the first caution of the afternoon, during which time he pulled down pit road and into the garage. Under NASCAR’s “Crash Clock” protocol, this ended his afternoon. He was joined shortly after the restart by A.J. Allmendinger, who cut down a left-rear tire racing Ryan Newman and backed into the wall at the same spot. Finishing 35th was Clint Bowyer, who was running in the Top 5 in the final laps of the race before a disastrous combination of brake issues, a pit road penalty, and ultimately a suspension failure that sent him into the wall ended his day. 34th fell to Blake Jones’ XFINITY team owner B.J. McLeod, who on Lap 204 and on Lap 210 returned to action from extended trips to the garage area. In the end, McLeod’s latest ride in Rick Ware’s #51 Jacob Companies Chevrolet ended with him 34 laps behind. Rounding out the group was Jones himself, 12 laps down. *This marked the first last-place finish for the #00 in a Cup Series race at New Hampshire since July 17, 2005, when Carl Long’s #00 Buyer’s Choice Auto Warranties Chevrolet, fielded by Raynard McGlynn, fell out with brake woes after 8 laps of the New England 300. *This was Cassill’s first Cup Series last-place run at New Hampshire.